Finding a well-trusted roof repair service can be fickle, especially if you’re not exactly sure what you’re searching for. Many roof service companies will advertise that they are licensed (or certified), bonded, and insured. That sounds official, sure, but what exactly do those words mean for a customer like yourself? Below we’ve broken down these words to their bones to help you understand their true meaning and the intent behind them. Licensing regulations for home repair companies may vary depending on the state in which they do business. Most states have regulations in place for contracting companies, some may not. Moreover, licensing rules and regulations may also differ by cities, counties, or regions. So what exactly does mean to be a licensed contractor? Well, a lot actually. Holding a contractor licence normally indicates that you have met the minimum requirements for that particular industry as requested by your local government. Some states require that a contractor shows proof of a license before they can get access to building records or to pull a permit. This ensures that the contractor is bonded and has viable insurance. In Indiana, getting a contractor license requires you to pay the license fees. show proof of a bond certificate, and proof of insurance. In order to be a “ bonded” contractor, you have to purchase a surety bond which is essentially another form of insurance. A contractor’s bond is meant to protect customers of home repair services from fraudulent activity or failure to meet the standards of the contract or agreement. A bond certificate is usually issued by a third party, which will be responsible for making sure that your project is completed correctly and properly and that the standards of the contract or agreement are met. If the work does not meet the expectations of the customers, the issuing agent is responsible for providing the customer with a refund for their damages. A contractor bond also protects customers from home repair accidents like lost property or damages done to their structure due to the contractor’s negligence. Moreso, A contractor bond protects homeowners from having to dish out extra cash for unpaid supply bills left unattended by a contractor. Many license issuing agencies require that contractors are bonded prior to applying for a contractor license. Much like a contractor license, bonding certificate requirements vary depending on state or local government. Any contractor that you hire should always be insured. 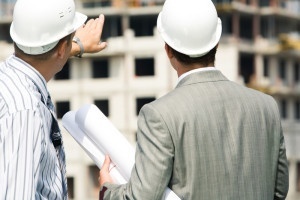 Hiring an insured contractor indicates that you are have selected a responsible professional to handle your project. Having an insured contractor also does what insurance is intended to do, which is to protect you and your property. Typically, a contractor’s insurance provides two crucial home repair components, liability and workers compensation. Contractor’s insurance prevents the contractor’s customers from having to pay for damages done to their property by the contractor or subcontractor. Contractor insurance also prevents you from having to pay out of pocket for injuries or losses suffered by the workers. Before hiring or notarizing an agreement, it’s important that you verify that your contractor is an upstanding repairman with valid and appropriate licensing, bond certification, and contractor insurance.